The designing process is a funny thing. At least it is for me... Sometimes I get a glimpse of a stitch pattern, or see an intriguing piece of a building that I want to translate into knitted fabric. Sometimes it's something as simple as a shape that makes me spend countless moments daydreaming about how that little piece might work in a larger garment, and puzzling out how to get there. But sometimes, the image of the finished piece appears fully formed in my head, something akin to Athena's birth from Zeus's forehead. Those are the designs that scream at me until I get them on the needles and out of my brain space. Rhaeadr is one of those screamers, and it started from one simple comment at the October Plug and Play Pembrokeshire retreat a couple of years ago. A comment about the rarity of top-down, textured shawls in the Ravelry pattern database. 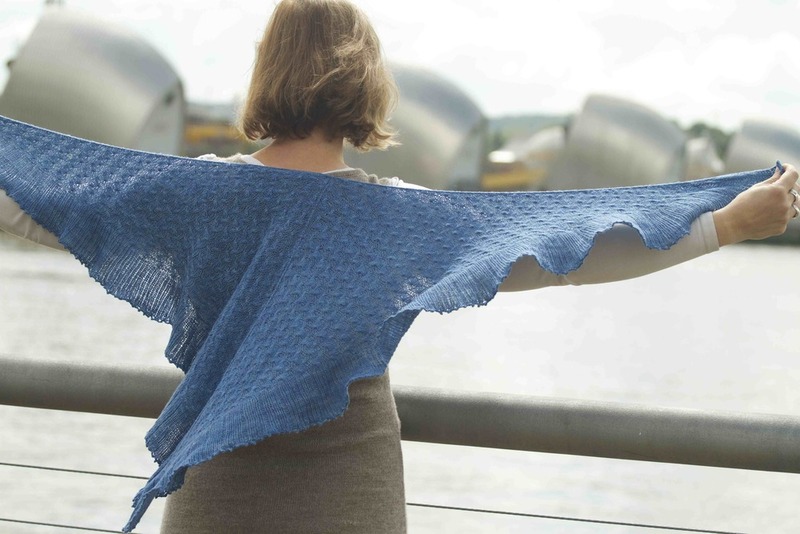 From that moment I knew I had to design such a shawl: a shawl that started at the nape of the neck and flowed down the back and over the shoulders, covered with sinuous cables that looked like sunlight dancing off the ripples on the surface of a stream as it flows on its merry way. Those cables would give way to cascading sheets of ribbing, ribbing that evokes the rush of water cascading over the edge of a cataract, hurtling down through space until it explodes in a wild tangle of mist and spray and water droplets flying every which way. In celebration of the release of this pattern, and the fact that I'm heading off to the US this weekend for my 20th (!!!) 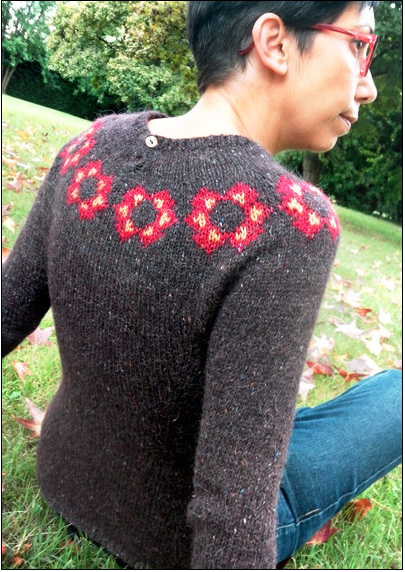 college reunion, I'm going to offer 10% off all of my patterns through midnight, Sunday 15th June. And since I'll be in the States, we'll make it midnight EST. Just enter the coupon code "RHAEADR-FF2014" in the appropriate space when you check out, and the 10% will be automatically deducted. Thanks to SweetGeorgia Yarns for yarn support, and Allison Thistlewood for photography. The photos were taken at Thames Barrier Park and the Cutty Sark in Greenwich, both in East London.